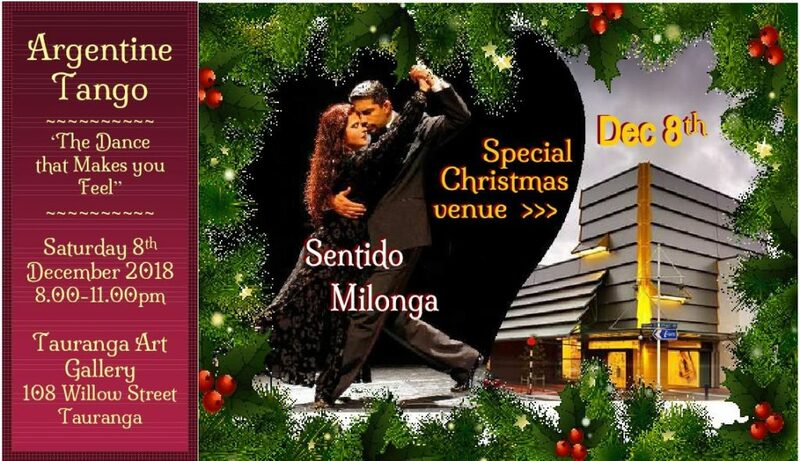 A Special Christmas Milonga will be held at a very Special venue and PLEASE NOTE the date change from 1st to 8th December 2018. If you’ve been contemplating coming to Tauranga – now will be a great opportunity. Snacks and non-alcoholic beverages provided, BYOB. Venue is very close to accommodation and across the road from all Bus Services. And as in many traditional Buenos Aires milongas, we will break the evening to dance ‘the Chacarera’.